I’ve always loved this seahorse painting by my mom and I finally got the nerve to print it and I am so happy that I did! 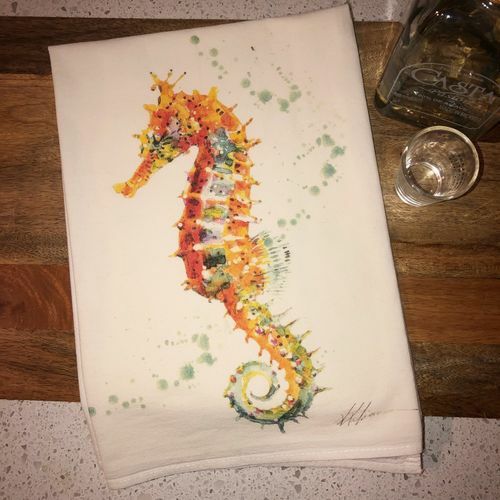 The colors are beautiful and the artwork is perfect for any beach house or for that person who wishes they were sipping a margarita with their feet in the sand! Screen printed by hand in Houston, TX using water base inks.